Moothon is an upcoming Indian bilingual film written and directed by Geetu Mohandas, starring Nivin Pauly in the lead role. It also stars Sobhita Dhulipala and Shashank Arora in supporting roles. It’s Geethu Mohandas’ first feature length project in Malayalam as a director. Anurag Kashyap will be penning dialogues for scenes in Hindi. The film is about a teenager’s search for his elder brother. The story had won global filmmaking award in 2016 Sundance Film Festival. Love Action Drama will be a modern day Vadakkunokkiyanthram. The movie stars Nayanthara and Nivin Pauly in lead roles. It is a drama directed by Dhyan Sreenivasan. Love Action Drama is supposed to be the remake of the hit film Vadukkunokkiyanthram and Nivin Pauly and Nayanthara will be reprising the roles done by Dineshan and Shobha respectively. The film titled Kairali is based on the mysterious disappearance of MV Kairali more than 30 years ago. The film will be directed by Jomon T John. The movie is based on Kerala’s first ship MV Kairali, which disappeared in 1979 just off the coast of India with a crew of 49 members. Film is inspired by the legendary real life thief Kayamkulam Kochunni. The 19-century thief stole from the haves and gave it to the have-nots. Scripted by the hit sibling duo Bobby-Sanjay, the movie would be based on Kayamkulam Kochunni who is a sort of local Robin Hood in Kerala folklore. The movie which will be produced by Sree Gokulam Movies is expected to start rolling sometime next year. The movie titled Safari will have Vineeth and Nivin sharing screen space for the first time. It will be a realistic thriller and the story evolves in the backdrop of a journey. Though the story might be familiar, the treatment will be unique. The team is planning to start filming the movie in July. The movie revolves around the five men, and there won’t be a major role for an actress in it. Edison Photos is a Malayalam drama movie, directed by Pramod G Gopal. The cast of Edison Photos includes Nivin Pauly, Janani Iyer. 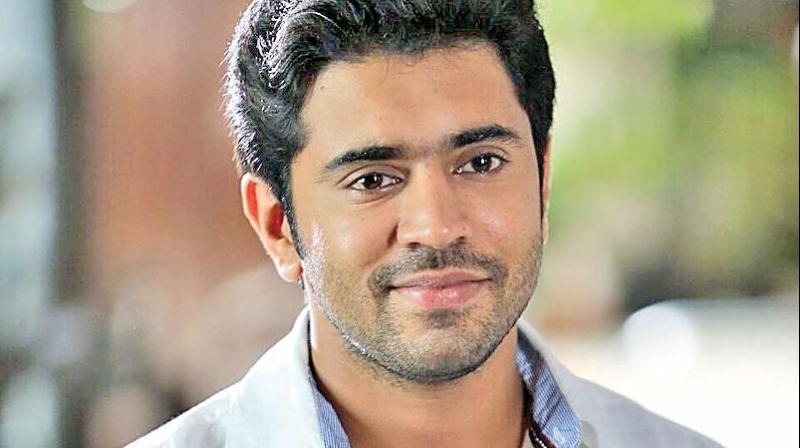 Actor Nivin Pauly will be soon seen as legendary actor and writer NN Pillai in an upcoming film directed by Rajeev Ravi. The screenplay for the film has been written by Gopan Chidambaram and Madhu Neelakandan will crank the camera. E4 Entertainment, which produced films like ‘Ezra’, ‘Godha’ and ‘Neelakasham Pachakadal Chuvanna Bhoomi’ will bankroll the project. Motorcycle Diaries is an upcoming Malayalam film directed by Rajesh Pillai starring Kunchako Boban in the lead role. The film is based on the mental relationship between one motorcycle and his previous owner. The film is being produced by Sugeeth (director of Ordinary) and Satheesh under the banner of Ordinary Films.Bollywood scenarist Suresh Nair, Tamil writer Jeyamohan and Rajesh Pillai wrote the script.Santosh Thundiyil and Aneesh Lal crank the camera for the film. Shaan Rahman composes the music and also makes his debut as an actor.The film started shooting in Kolkata in May 2013. Smart Boys is a Malayalam comedy movie, directed by Vineeth Sreenivasan. The cast of Smart Boys includes Nivin Pauly,Sunny Wayne. But reportedly, Smart boys will be a mass entertainer and the director denies that it’s a sequel of Thattathin Marayathu.